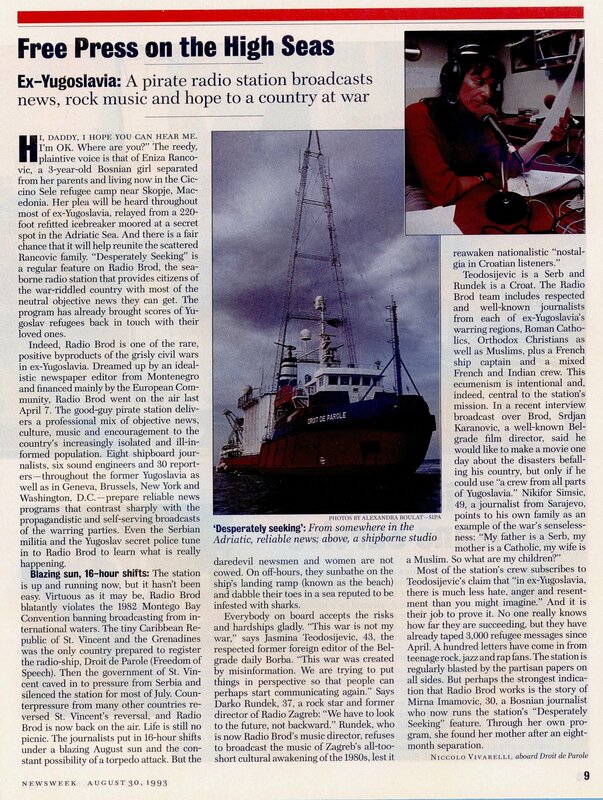 Excellent article on RADIO BROD, the station that was off the coast of Croatia in 1993 aboard the Droite de Parole. This station was often heard in the UK on the freq of 720kHz later on at night. An A5 publication from Crawley based organisation of the same name, which found itself in trouble with the law at one point. Reproduced in book format, ready to print odd and even pages etc. A small A5 magazine from the early 70s by Rob Holland and friends. A small offshore clip from the Times during June 1966, found inside a 1964 WRTH bought from ebay. Date is taken from the back of the image, where there are adverts for the said date. NB No radio stuff on the flip side. Scans of the 1970's Magazines produced by Kieran Murray of the FRC Ireland. Irish Pirate Radio stations were included in this Sunday newspaper. An article covering RFL, Radio Jackie and EMR. A substantial article covering the whole of the UK. 1984 was probably the peak of the landbased pirate radio scene in the UK. It was during this period that many of the original Sunday only MW and FM stations began to operate on a full 7 day per week basis. This followed in the footsteps of Radio Jackie who had discovered a loophole in the current law which enabled them to keep hold of equipment for longer periods between raids. It was also a time of change in pirate radio. The old Sunday medium wave stations operated by enthusiasts who promoted exciting personality and community radio, which grew out of the offshore stations of the 1960's, began to make way for more specialist FM music stations playing more non-stop music with little chat. Stations aimed at ethnic communities also began to increase in numbers. This article published in January 1984 talks about many of the stations which operated during this period. 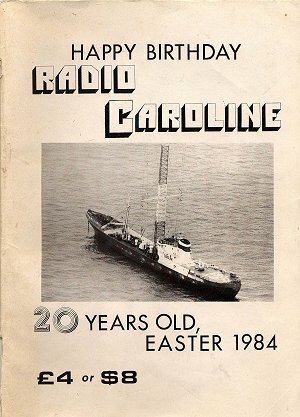 By the beginning of 1985, especially following the final closure of Radio Jackie, landbased pirate radio began to move into a new era of almost purely FM operations. Only Merseyside would have any appreciable number of medium wave station after this, and even they would disappear by 1990.